About 5 years ago, we started to get more and more requests for “shiplap.” Since no one at the shop watched much TV, it took us a minute to figure out where the increase in demand was coming from (thanks Chip and Jo!). 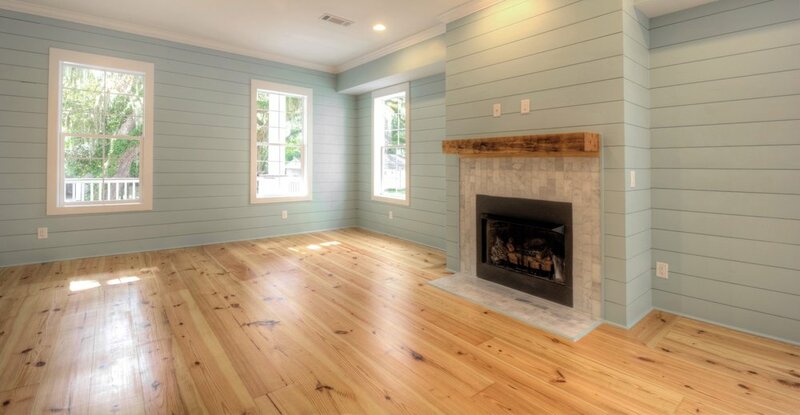 Listening to our customers needs in regards to “shiplap”, we realized that traditional shiplap was not going to give them the look they wanted. Fabricated into our custom Tongue and Groove profile that leaves a perfect and consistent Nickel Gap between each board. The custom profile also eliminates any face nails. Installation flows much faster and the final product provides a clean, modern look. 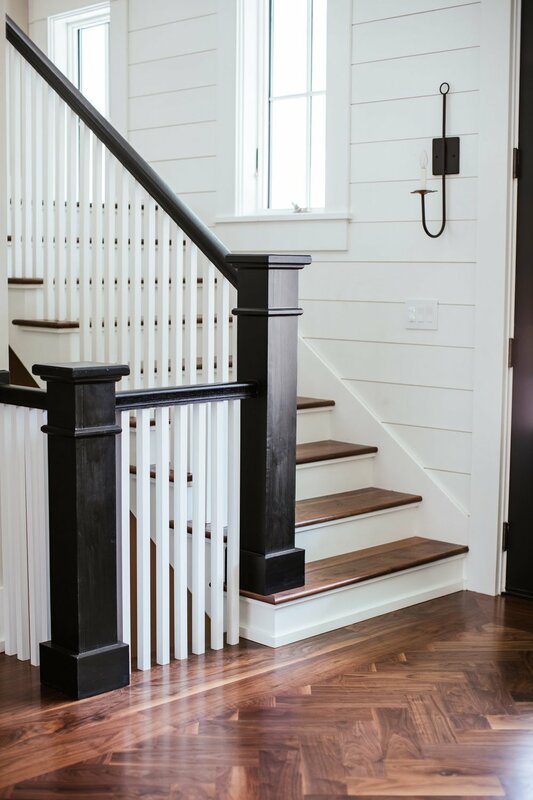 We’ve helped thousands of people from all over the country get the look they want with (NOT) Shiplap. We’ve also done quite a bit of education-check out this video Greg made that has over 150,000 views on Youtube! This product is only available through Water’s Edge Woods- don’t trust your local big box store or lumberyard when they claim to provide the same product. We began our (NOT) Shiplap journey to solve one particular problem, but like most great things our customers found more uses for it. The Nickel Gap Tongue and Groove profile quickly became our most popular profile in all wood species. Today, we make (NOT) Shiplap in Poplar, White Oak, Cypress, Ambrosia Maple, and Black Walnut in addition to Clear Yellow Pine. 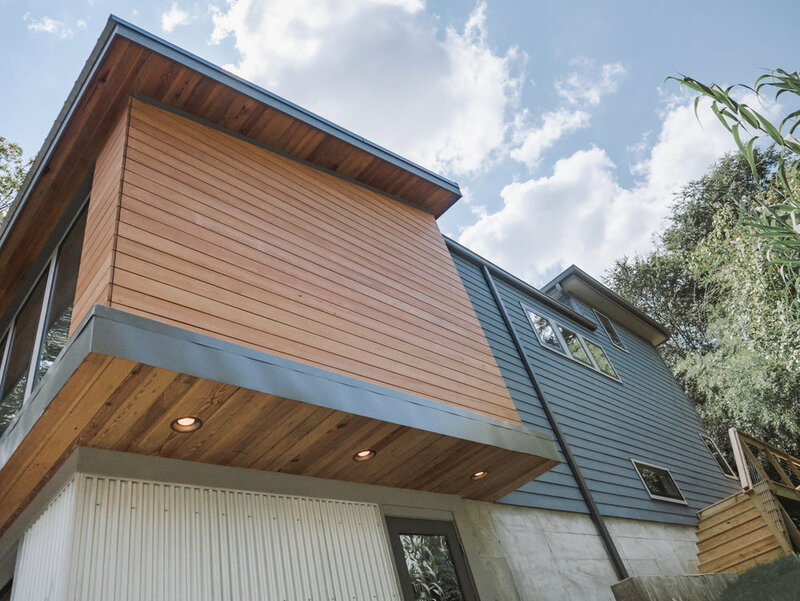 Whether you are doing a wall, ceiling, or exterior rainscreen, the aesthetic you can achieve with this product is perfect. Check out the pictures below and get a custom quote on your favorite! 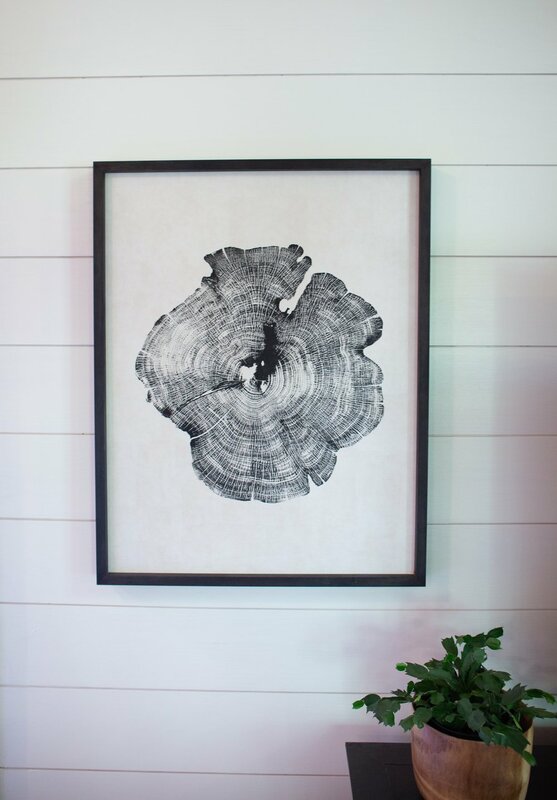 IMAGES REPRESENT THE WOOD TONE AND NOT ALL ARE (NOT) SHIPLAP. Andrew and his team were wonderful. They are excellent craftsmen, as well as good, honest, hardworking people. From the beginning, they were very knowledgeable about all types of wood and were able to guide our decision-making process. 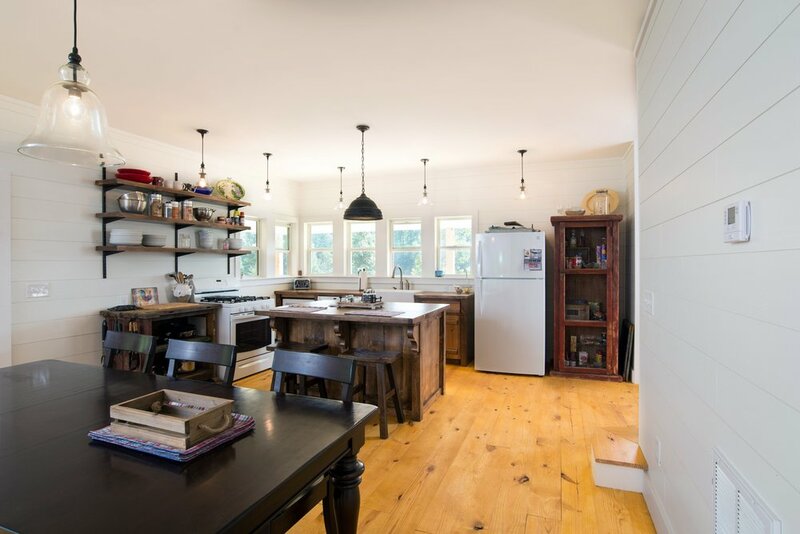 The quality of our walnut and oak for our flooring and walls was excellent, and I love our NOT SHIPLAP: Nickel Gap Wallboard - it gave our home the perfect look of a cozy farmhouse, but with a clean, more formal finish given the smooth texture of the wood. He also introduced us to several local craftsmen who were able to execute our vision and design perfectly. Communication was always prompt, and wood and commissioned items were always delivered quickly. The pricing was very reasonable as well. I loved the way all aspects of our Water's Edge Woods projects turned out, and I cannot recommend them highly enough! 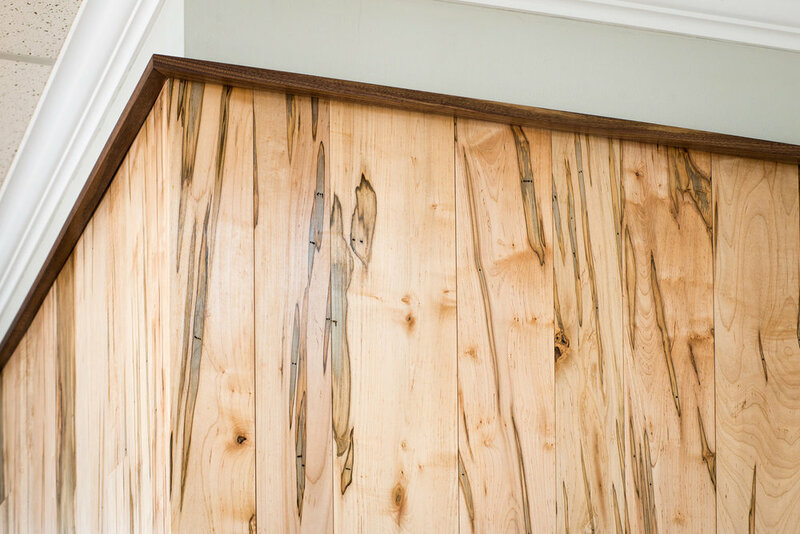 We go over the difference between traditional Shiplap and Nickel Gap for wood walls. Installation of Shiplap and Nickel Gap is discussed and demonstrated.